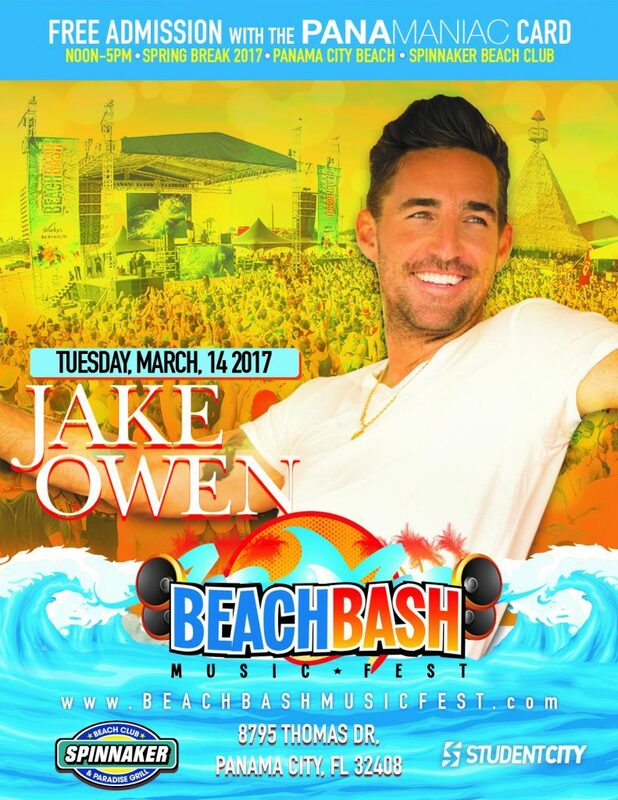 Florida born country music singer Jake Owen has officially been announced as a performer for the Beach Bash Music Fest in Panama City Beach on Tuesday, March 14. Owen has also toured as an opening act for several other country artists, including Kenny Chesney, Brad Paisley, Little Big Town, Sugarland, Keith Urban, and Jason Aldean. The Beach Bash Music Fest is Spring Break’s #1 daytime concert event and will be held for the first time on the beach at Spinnaker Beach Club. Past country music performers at the Beach Bash include Florida Georgia Line, Brett Eldredge, and Cole Swindell. This event is INCLUDED with the purchase of the Panamaniac VIP Card or may be purchased separately. Get your card today while you still can at www.panamaniaccard.com.